10"x 24" 10" 24" 4" 18.83"
12"x 30" 12" 30" 6" 23.97"
14"x 48" 14" 48" 8" 37.65"
18"x 66" 18" 66" 12" 56.25"
Mark One Way Roads with "One Way" Floor Stencils to prevent Accidents. These Premium-grade stencils are made of 63 mil thick polyethylene. • Made of 63 mil thick polyethylene. Easy to clean. 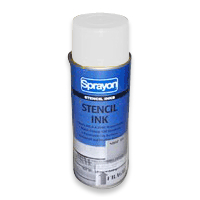 • These stencils outlast low-cost oil board stencils, which quickly become sodden and not reusable. Inside of stencil is polished, and burr-free.